At Heathcoat Primary we work hard to deliver an exciting and relevant curriculum to all of our learners. We have fully adopted the New National Curriculum and have used this opportunity to design brand new topic as vehicles through which the children access a variety of subject areas. We enjoy being flexible and incorporate the children’s own ideas into the topics that we plan and then teach. As a result, planning is always being adapted and changed to meet our learner’s needs. The links below will take you to the curriculum maps for each of the year groups across the school. To find out more about our curriculum please contact your child’s class teacher or team leader. In Early Years and Key Stage One our children choose book banded reading books that relate to their current reading level. There is a good selection of books in each coloured band so that the children are able to access a variety of genres. In Key Stage Two we have recently invested in the Accelerated Reader scheme which similarly enables children to access books at the right level to develop their reading ability. Our library stock contains many of these books and the scheme requires children to not only read the books but also to respond to what they have read by completing a range of tasks and answering questions related to the text. At Heathcoat Primary school we follow the Spell It scheme of work for teaching and learning phonics. This scheme is based on the requirements of the new national curriculum and takes into account the increased expectations that this curriculum has created above and beyond those seen in Letters and Sounds. It covers both the reading and writing for sounds and words and involves both new learning and revision of previous learning in every session. If you would like to know what sounds your child is learning about this week then please ask your child’s class teacher. At Heathcoat Primary School we believe that we need to do more than just teach our children facts or chunks of knowledge. We need to give them the skills to become lifelong learners so they can face challenges both in and out of school and not just as children but as adults as well. We teach them how to learn. Therefore we are incorporating BLP into our curriculum. 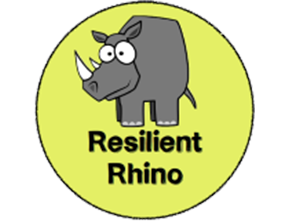 In his book ‘Building Learning Power’ Guy Claxton suggests there are 4 key learning dispositions – resilience, resourcefulness, reflectiveness and reciprocity. We all have these dispositions within us and can be developed by everyone regardless of ability, age or social background. These dispositions can be thought of as learning muscles which can be developed with the right exercises. BLP has given us a common language to talk about learning and help us to make explicit the behaviours and skills we need to enable us to learn. Each of these learning muscles is made up of a number of learning behaviours. Resilience is made up of absorption, managing distractions, noticing and perseverance. 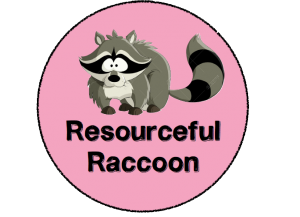 Resourcefulness is made up of questioning, making links, imagining, reasoning and capitalising. 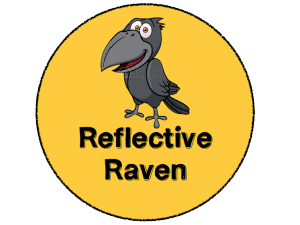 Reflectiveness is made up of planning, revising, distilling and Meta –learning. 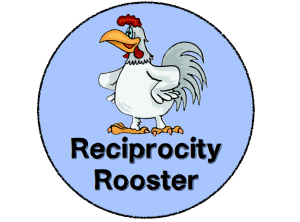 Reciprocity is made up of interdependence, collaboration, empathy and listening and imitation. To help the children remember the 4Rs of learning we have linked each learning muscle with an animal. In each classroom we have a BLP display which encourages children to use the language of learning. This also helps them to identify when they or a friend has used one of the learning behaviours. Teachers are weaving the BLP behaviours into each lesson so children are taught the skills of learning as well as the content of the national curriculum. Each week in assembly and the newsletter we celebrate a learner of the week. This is a pupil who has been identified as using one of the learning behaviours that week. Teachers, teaching assistants, pupils and parents can complete a wow slip to share when they have observed a child using the one of the learning behaviours. We have produced booklets to provide parents with more information and ways of helping your child with BLP at home. Emphasis on the foundations for learning and not on the content itself so students learn to think mathematically as opposed to merely reciting formulas or procedures. The textbooks and workbooks are based on Bruner’s CPA approach. This means that the majority of lessons start with a concrete experience whereby children access resources. Then they move onto the pictorial (image) before looking at the concept in an abstract way. Therefore the Concrete, Pictorial Abstract approach. There is a large amount of time devoted This allows all children to access the mathematics appropriate for their year group. This approach also enables the children to spend more time on the key concepts that are needed to give them the good foundations to develop each concept. The textbooks and workbooks have been structured so that there are small steps in learning allowing children to fully understand concepts. Therefore teachers will work systematically through the textbooks which cover the content of the new national curriculum. The children in KS2 are encouraged to mark their own work so they can see how they have done. During responding to marking time children are asked to correct any mistakes in a different coloured pencil so teachers can see the corrections. If children have got the majority of the questions correct there will generally be no next steps given. However if children have struggled to grasp the concept independently then the teacher will work with them again and their work will be marked with a C to show there has been conferencing. We now have Parent Videos available for you to view.